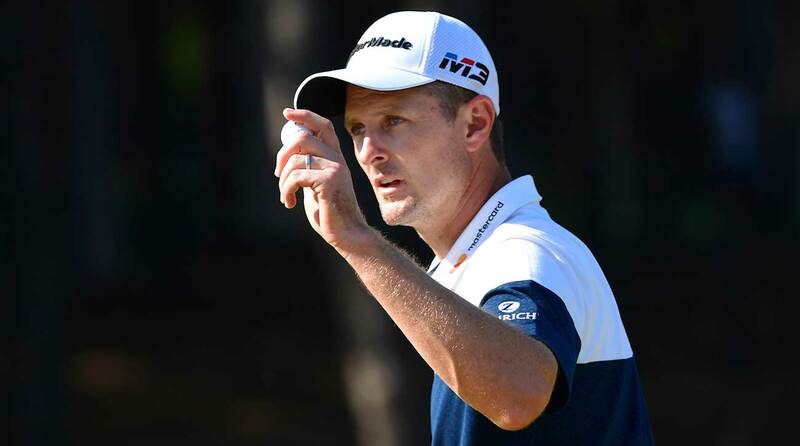 Justin Rose has reclaimed the top spot in the sport. Rose beat Haotong Li on the first playoff hole to repeat as champion at the Turkish Airlines Open on Sunday, a victory that ensures he'll leap Brooks Koepka and be the World No. 1. Li led Rose by three after 54 holes, but they came down the 18th fairway at Regnum Carya Resort tied at 18 under. Li three-putted for bogey, and Rose, with a chance to win, lipped out his par try. MORE: Mother moves ball, leads to daughter's DQ at LPGA qualifying Playing the par-4 18th again for the first playoff hole, Rose tapped in for par to give Li a chance to make birdie and win, but the 23-year-old missed that putt and then failed to make the comebacker to tie, giving Rose the title. Rose moved to No. 1 for the first time in his career when he finished second at the BMW Championship, but that lasted only two weeks. He was second in the world, behind Koepka, entering this week. Justin Rose nods to the crowd during the final day of the Turkish Airlines Open.